Sponsoring a Magpie is a great way to get behind your favourite player this season. Not only is it a great way to personally connect with athletes from across the club, but you'll also enjoy a fantastic range of exciting benefits. This opportunity is suited to families, small business owners and passionate supporters looking to increase their connection with the club and align themselves with their favourite players. From hospitality and events, to money-can't-buy experiences and recognition in the official club publication, there are all sorts of ways player sponsorship can increase your connection to Collingwood's inner sanctum. Click here to view AFL Player Sponsor Packages (PDF). Click here to view AFL Women's Player Sponsor Packages (PDF). 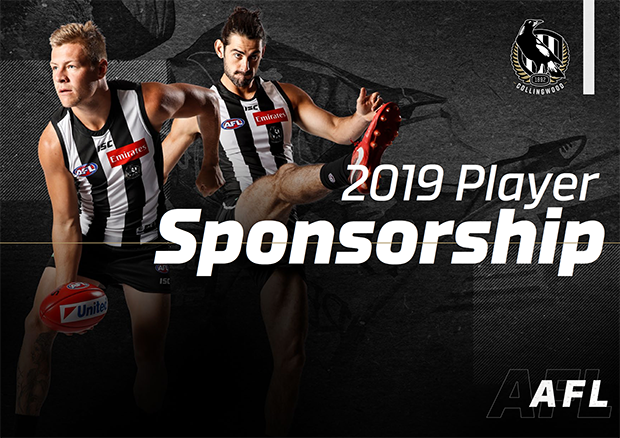 Click here to apply to become a Collingwood AFL Player Sponsor (PDF). 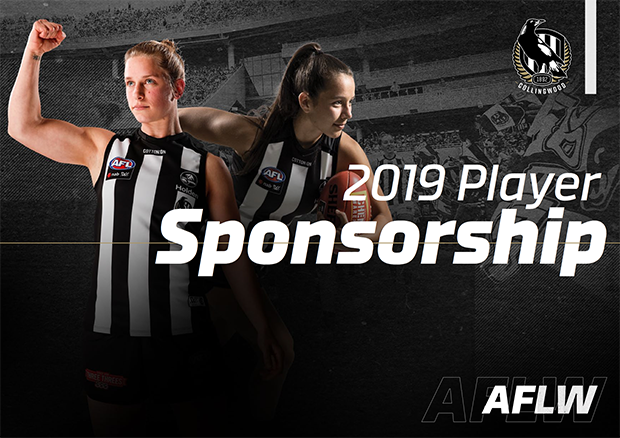 Click here to apply to become a Collingwood AFL Women's Player Sponsor (PDF).